Having started playing at 8 years old, Nic is a full-time musician who has gained a wealth of experience in a variety of musical situations ranging from studio and TV recording sessions and theatre to international live touring - playing everything from pop, soul, R&B, rock, funk, Latin, and reggae to jazz-rock fusion and straight ahead jazz. In the 70s Nic enjoyed international chart success and performed live on Top Of The Pops as part of The RAH Band, providing the groove for their mega Disco hit 'The Crunch'. 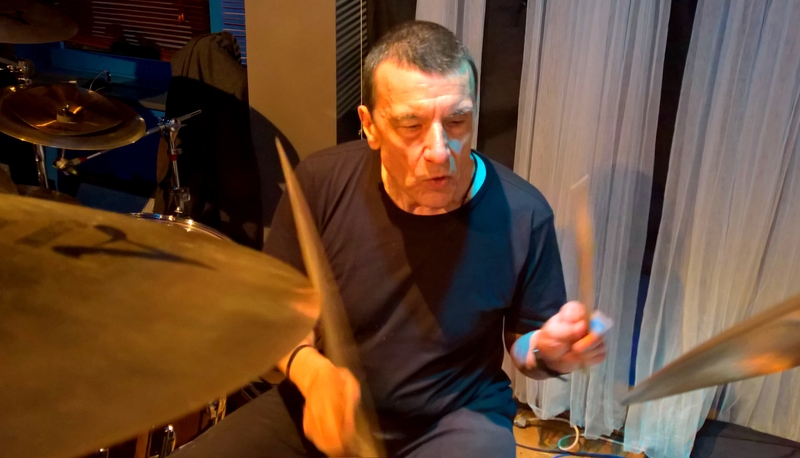 Also, he has played in concert at The Royal Albert Hall with keyboard maestro Vangelis, and toured the world stage in the highly technical jazz-rock fusion genre with acclaimed Japanese percussion virtuoso Stomu Yamash'ta.